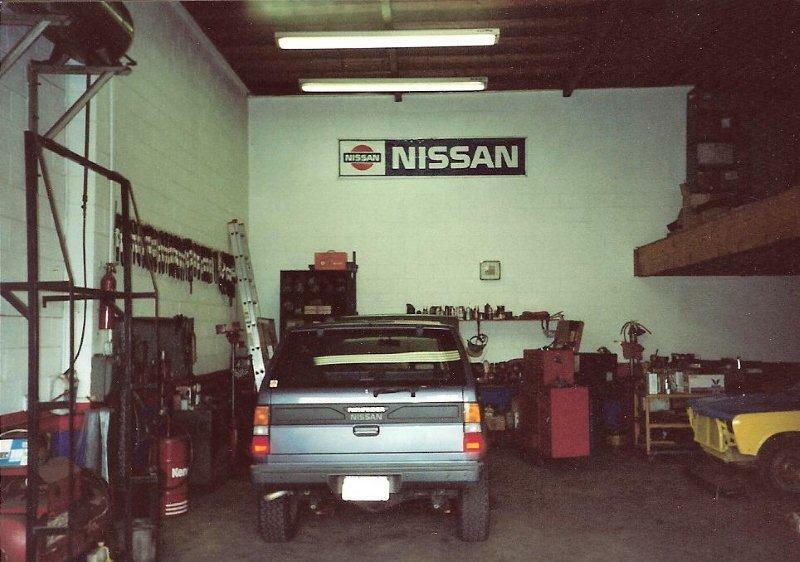 Editor’s note: In 2012, in the process of building NICOclub’s Project 510, I stumbled across a Craigslist ad for Datsun 510 parts here in Phoenix. 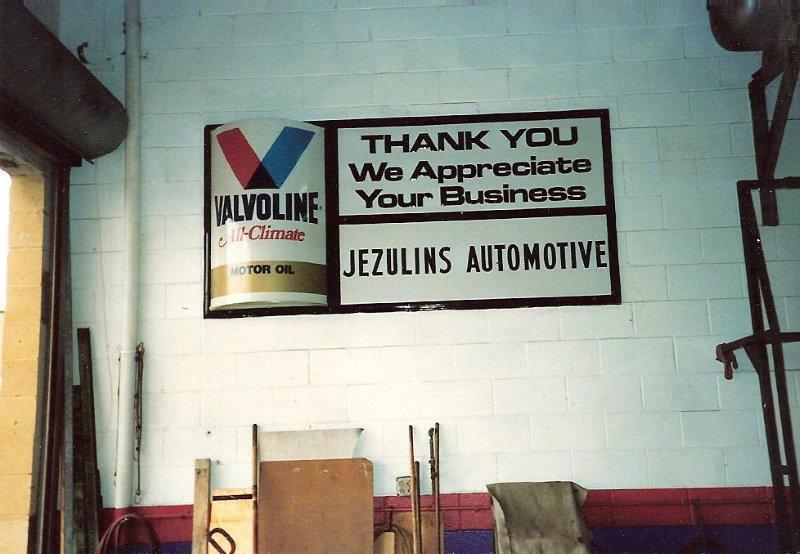 I wound up buying a large quantity of those parts, but more importantly, I came to know Joe Jezulin and learned about his father, Chuck Jezulin. This article has been in the works for over two years. Schedules (and life) have interfered with its completion until now… We hope you enjoy it. Chuck Jezulin was a mechanic almost from birth. At an early age he built bicycles and started driving and working on cars at the age of twelve. He and his father scrapped out cars and he drove and worked on all makes and models as a teenager in Manhattan Beach, California. At the age of 15 he took his first job at a body shop and he continued to learn about cars. In 1960 he worked at a Nash/Rambler dealership and he kept this job as a mechanic for the next few years. 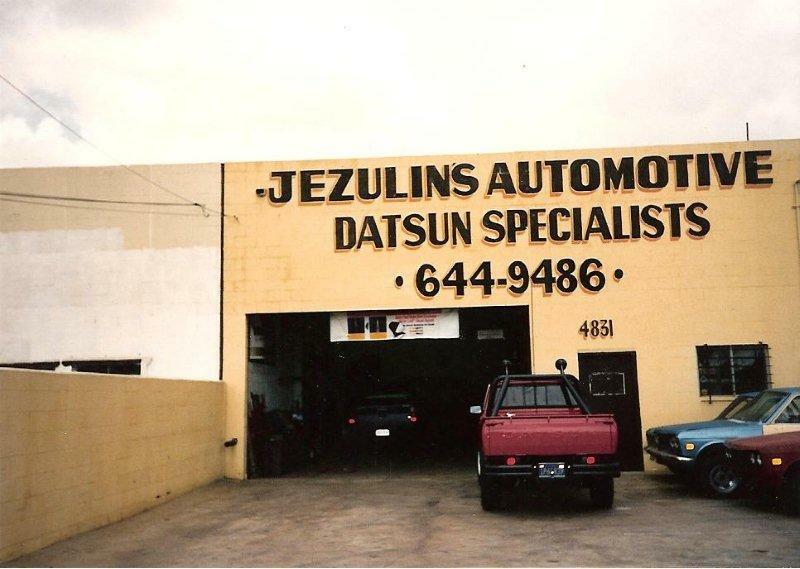 In about 1966, Datsun was getting established and Chuck was hired as a mechanic for Torrance Datsun in Torrance, California. Datsun was a new brand and he loved these little cars. In 1968 the 510 was introduced and Chuck quickly mastered this new model. The 510 was an instant hit and Chuck quickly saw the potential to modify this new car. He purchased a brand new 510 station wagon and he also purchased the first of his many 510 two-doors. He began developing modifications for the 1600 (L16) engine and working with different head combinations. As he did this, he won many dealership competitions and he was recognized for the quality of his work. The dealership soon promoted him to shop foreman. He now had keys to the shop to work late and on the weekends. As he did so he began building street race cars for selected customers. These cars soon dominated the California street racing scene and word started getting around that Chuck knew how to make your Datsun run. 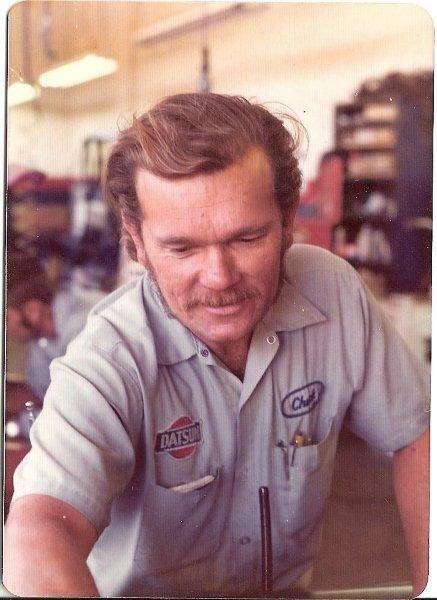 Chuck Jezulin, shop foreman at Torrance Datsun in California, circa 1978. In 1981 it was time for Chuck to buy his own shop. He purchased a building in Lawndale, California and he only worked on Datsuns. He continued to build race motors and his one-man shop became known for building some of the fastest 510s in the area including a L16-powered dune buggy that could not be beat for several years. 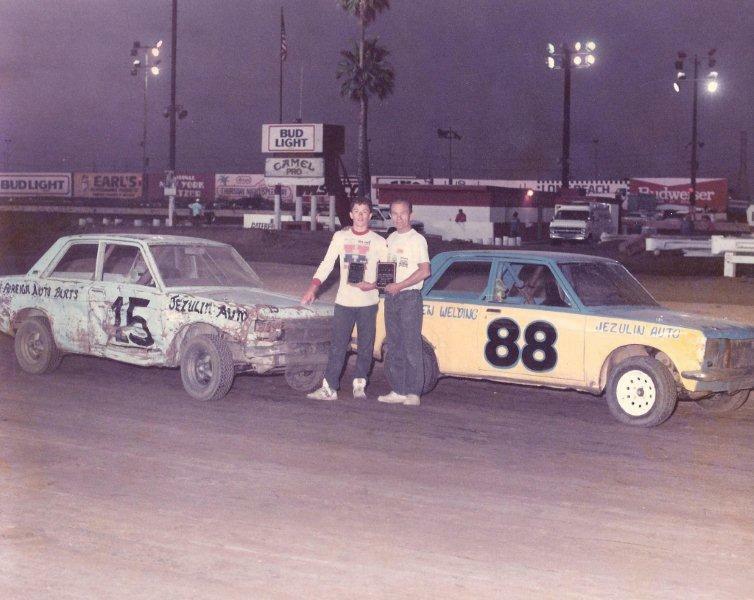 In 1987 Chuck started building engines for the dirt track series at Ascot Raceway in Gardena, California. The 510 was a perfect race car for the 1/4 mile dirt track oval and Chuck’s engines won again and again, racing against Pintos, Mazdas and Toyotas in the Mini Hobby Stock class. In 1988 Chuck finally started racing. He had instant success, winning several main events and his car was questioned because of how fast it was. If he was around he would tell you that he cheated a little by running a bigger motor… but when you were racing against Mazda rotaries you had to race with more than a 1600. The 1800 was the block of choice, and a restamp on the block was an easy way to cheat. The NICOclub Project 510 runs one of Chuck’s 1600 “cheater” valve covers on its built L20b, as a tribute to Chuck. Joe Jezulin (#15) and Chuck Jezulin (#88) racing at Ascot in 1989. June 18, 1989 – Father’s Day. My dad (#88) won and I (#15) came in second. Over the next couple of years Chuck worked with several different engine combinations and drivers. These combinations were placing the L series head on the Z22 and Z24 blocks, as well as working with the high compression, big valve heads. At this time, porting and valve combinations became Chuck’s specialty. He started using the 1.810 intake valves with the 1.5 exhaust valve in the big port lower compression head and this made the Z24 breathe. The only issue with this combination was that the size difference was obviously taller, so Chuck ran the Z22 with the L series head. This combination was easier to conceal and it was tough to beat. My dad in the shop waiting room (1989). He hated to get his photo taken. 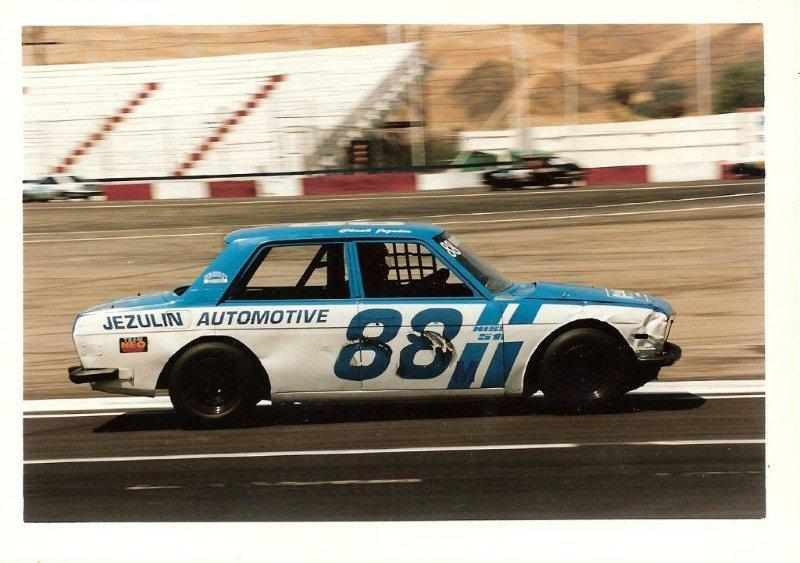 Chuck took the Z22 engine combination on the road and he won races at the Orange Show, Porterville, and Willow Springs Raceways in California. At Willow Springs during open practice, Chuck’s 510 was paired up with a Chevy Camaro with a 350 motor. In an unofficial race the little 510 easily beat the Camaro. Many people were shocked at what happened… but not Chuck and those that knew his car. The 510 simply had more power and it was displayed down each straightaway. 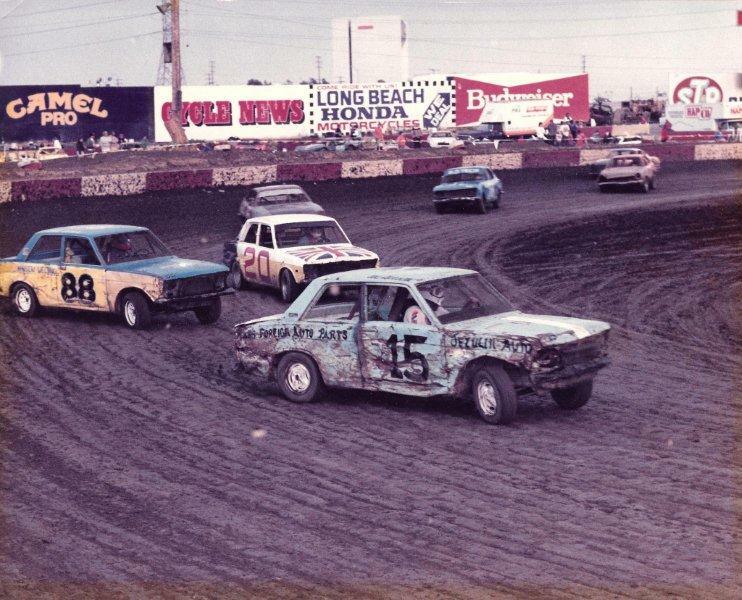 In 1990, dirt track racing came to an end as Ascot Raceway was closed. 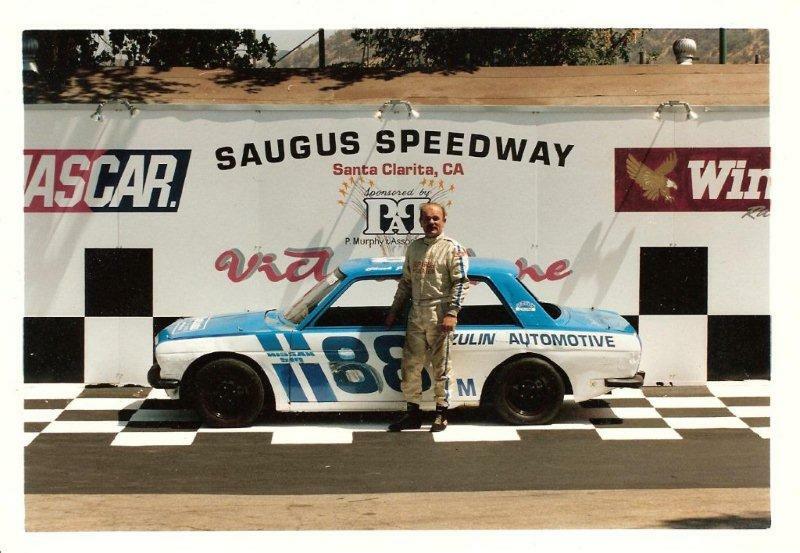 That same year, Chuck decided to try the asphalt oval at Saugus Speedway. The car set up took a few races to master, but by mid-season Chuck’s engines were winning again. At the end of the 1990 season Chuck unleashed his Z24 with the L series head and people were amazed. This engine was a beast and he was able to twist it to 8400 RPM. The engine pulled hard but the rod caps didn’t like the high RPMs. Chuck continued to develop this motor and as he finished the 1990 season and raced into the 1991 season, the main event wins kept coming. He eventually solved all of the issues with the Z24 engine combination and his success was noted at the track. Over the next couple of years, Chuck’s engines found their way into numerous autocross cars, street racers, Z cars, off-road race trucks and customers’ cars who just wanted to run the canyons. Chuck loved to race and his engines proved it. He slowly moved away from the day-to-day maintenance of Nissans and he found himself working more and more on just race engines, and he loved it. 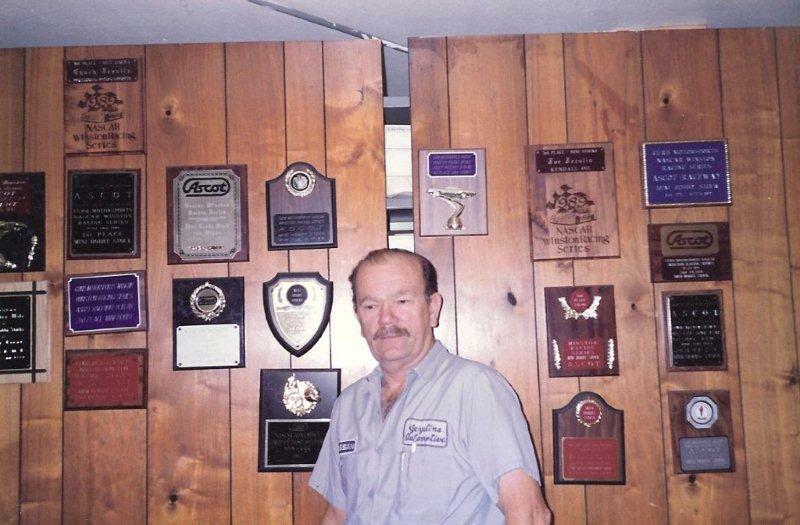 In 1995 Chuck sold the shop and retired. He continued to build engines and 510s at home for the next couple of years. He eventually built his last 510 in 2005. He built a 1972 510 two door that had everything on it that he had saved for the last 47 years. 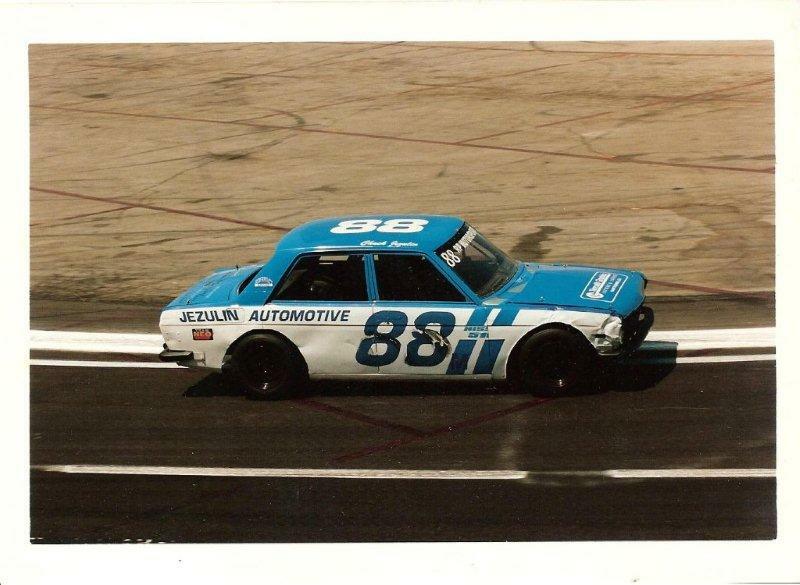 This car eventually ended up with Chuck’s asphalt race motor installed in it. The car was incredibly fast and Chuck enjoyed the occasional stoplight to stoplight drag race with anyone who wanted to pull up and run. On May 1, 2010 Chuck died in a tragic motorcycle crash. He was riding a dirt bike in the mountains above Phoenix Arizona. Chuck was the only 72 year old guy that anyone knew that was still riding dirt bikes. He loved the thrill of going fast, and on that day he had a smile on his face as he led the group into the last turn that would take his life. Everyone that knew Chuck hated to lose him, but it was a very fitting way for this true racer to go. He died among family and friends, and the last sound he heard was the roar of an engine before God took him home. Approximately a year after Chuck’s death, his secret stash of parts were located and eventually sold. Chuck had collected every race part known to man and an enclosed trailer full of parts had been in storage for several years. The secret stash was a 510 enthusiast’s dream. Several race engines, suspension components, built heads and everything else that a quality 510 build would take were there. These parts were advertised and several 510 owners responded. The parts, including Chuck’s 1972 510, were sold over the next several weeks. As strange as it may sound, it was hard parting with those parts. Each part had a memory attached to it and it was difficult but great sharing the stories about my Dad with each 510 owner that I met. I know that my Dad would love to see where his engines and parts ended up, and he would be proud to hear the stories of how his engines continued to be raced. Reflecting back over the years, it’s amazing to see the love that my Dad had for the 510… and even more crazy, that he passed away on 5-1-10. 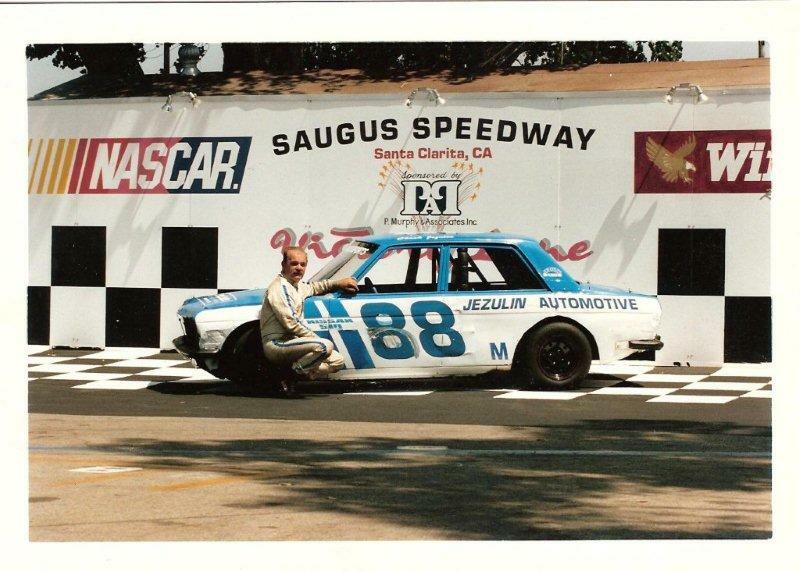 If you’d like to comment on this article, have any questions for Joe about his Dad’s racing career, or maybe you even remember Chuck from back in the day, please feel free to pop in and post here: Remembering Chuck Jezulin, 510 Racer and Mechanic.